You know that rich life experiences are indispensable. They’ve helped make up everything you are today. So just imagine how many valuable stories, lessons and experiences your elders can share with you. When you spend time volunteering with seniors, you’ll benefit just as much as they do—and you can learn a lot too! 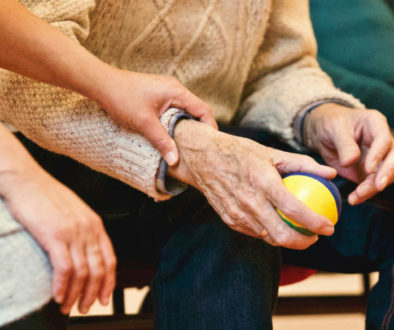 We’ve compiled some ideas for different ways to lend a hand, a listening ear or your skills to seniors—from reminiscing to making new memories. Remember, simply giving your time and conversation can sometimes mean the most. 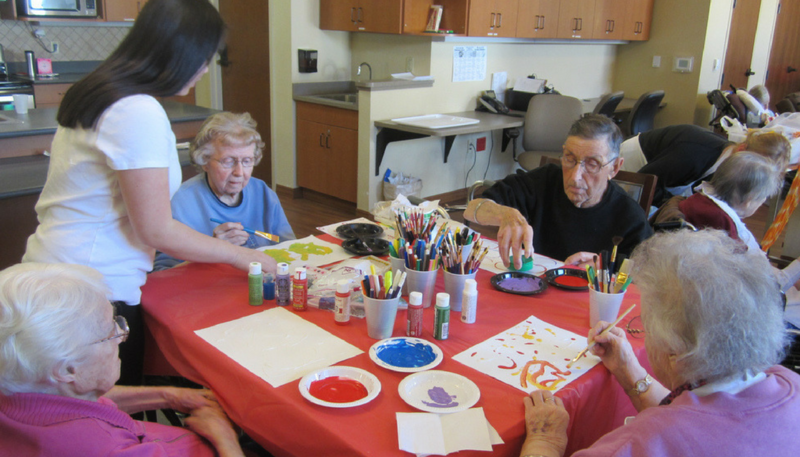 One of the most meaningful things you can do for someone in an assisted living facility is share some quality time together. Whether you’re going to see a neighbor, loved one or new friend, make the most of your visit by planning ahead. Call ahead to plan a time to drop by, or schedule regular visits that your friend can look forward to. Bring along a board game or cards, a care package, a video or a home-baked treat. Even if your days fill up quickly, just a quick hello can brighten someone’s day. Chances are there are seniors right in your own neighborhood who could use your help. 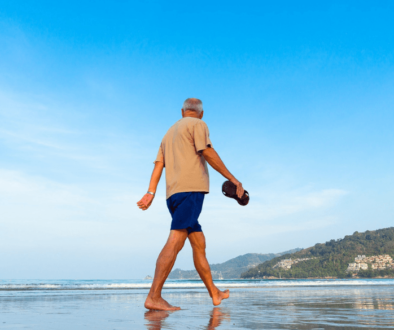 Some seniors’ health prevents them from getting out and socializing. Keep them from feeling isolated by going for a visit, bringing over a meal to share or renting their favorite movie for you to watch together. Offer to run errands for those seniors who can no longer drive. Make it a weekly ritual, and let them know they can call upon you when needed. You can also bring them along as you ride around town, so they can get out of the house and visit with you at the same time. It doesn’t take a skilled handyman to do many around-the-house chores. Offer to rake leaves in fall, shovel the driveway in winter, and fix little things around the home. If you don’t have a parent or grandparent of your own that needs some extra caring for, there are plenty of seniors out there who could use some company! And there are many programs and organizations that can match you up with the perfect friend in your area. 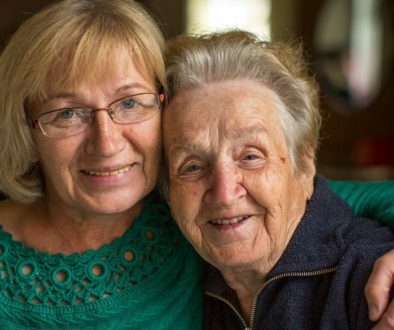 Whether you’re at a nursing home or a neighbor’s or loved one’s home, ask yourself what you can learn from your older friend—many of their experiences may surprise you! While they’ve likely compiled stories over the years, it can often be challenging to know just what to ask in order to kick-start a conversation. Here are some ways to help get them reminiscing—and the good stories flowing. Discover their skills: If you don’t already know the kind of career your friend had, find out! Ask questions about their biggest lessons or favorite moments. Don’t forget to ask them about their skills and hobbies outside the job, too—sewing, woodworking, writing. Request that they teach you a thing or two. Log the memories: Bring along a photo album, scrapbook or journal on your next visit, and encourage your friend to sit and compile their memories with you. Use narrative, photos, captions, doodles and more. You’ll be turning their oral stories into a documented history book in no time! Make some artwork: Turn select pages of your memory book into wall art for their room. Simply photocopy the best pages with photos and captions, then hang them up so your friend can continuously recall good times. Plus, colorful pages and photos are sure to brighten up any room.